Mastrio Web Page » The Archive » It’ll blow you away! I was just searching thru some emails trying to find something and wound up finding this… it’s a graphic for a bottle that I did for a client of mine. It came out pretty good if I do say so myself. Not sure if it ever saw the light of day, but it was fun working on it! 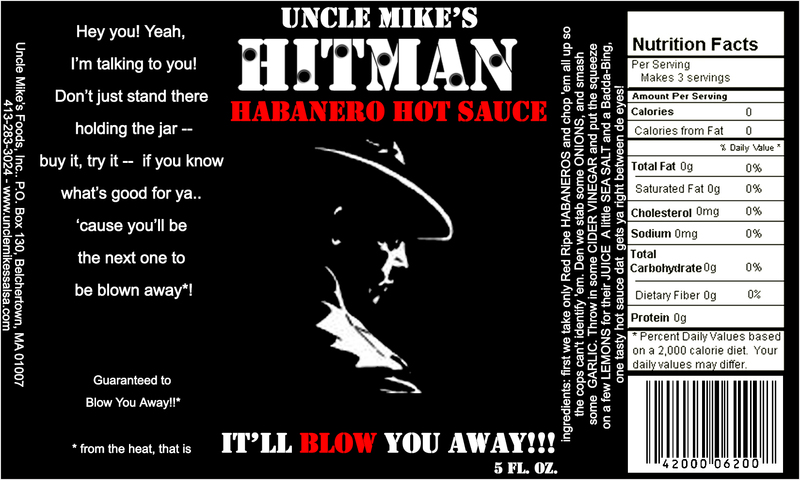 The have since gotten out of the business, but Uncle Mike’s Salsa was REALLY GOOD and their hot stuff was frickin’ HOT!